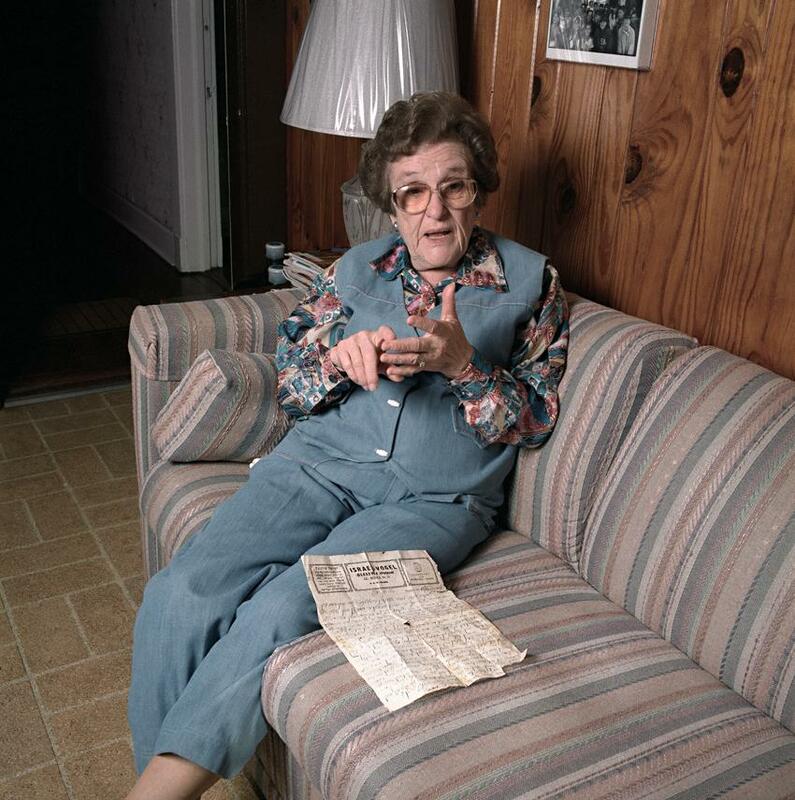 Holocaust Survivors: Photo Gallery - "Eva Galler"
Eva Galler explains how the persecution of Jews began as a step-by- step process with measures of increasing severity. The Jews did not foresee that it would end in mass extermination. Next to her is a letter written by her father on March 3, 1938, during the Anschluss of Austria with Germany: "By now you have heard that Vienna has been occupied by the Germans. Unfortuantely, we are dancing at the same wedding. I am very nervous."